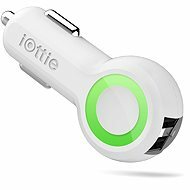 The TomTom Dual Car Charger allows you to charge two devices at the same time, be it your mobile phone, tablet, camera, or any other high-capacity USB device. The charger automatically detects how to charge the connected device as quickly as possible, resulting in up to 4 times faster charging speed than using other methods. In addition to its speed and total versatility, it's not only compatible with electric sockets in cars but also with ones in caravans and trucks. USB 2.0 A F Done! 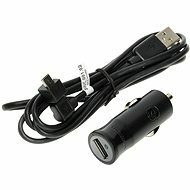 For shipping to other EU countries visit this page TomTom Dual Car Charger. Für Versand nach Deutschland, besuchen Sie bitte TomTom Dual USB (2xUSB). Chcete doručit zboží do Česka? Prohlédněte si TomTom USB rychlonabíječka do auta duální (2xUSB). Chcete doručiť tovar na Slovensko? Prezrite si TomTom USB rýchlonabíjačka do auta duálna (2x USB). Für Versand nach Österreich, besuchen Sie bitte TomTom Dual USB (2xUSB). Magyarországra történő kiszállításért tekintse meg ezt a termékoldalt: TomTom USB autós gyorstöltő kettős (2xUSB).